Usually Brera is known as a bustling part of Milan where in the warm summer season people dine outdoors by candlelight. 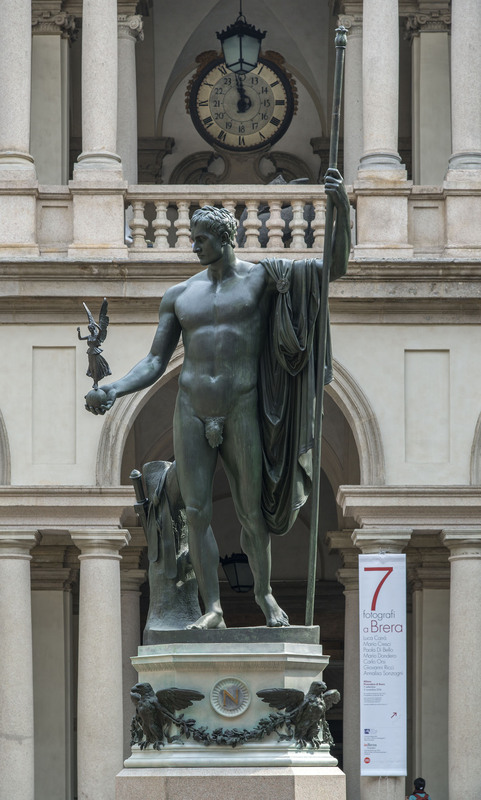 Only the most attentive of them, after a round of window shopping, enjoy a visit to the Picture Gallery, but certainly almost nobody knows that the history of Brera is centuries long, making it one of the places with the highest density of historical stratification in the country. At the time of the Celts it was an irrigated forest where people moved by canoe, later exploited by the Romans for agricultural purposes too, where farmers and fishermen established a village even though it was located outside the imperial walls. The destructive passage of various barbarian hordes had then cleared everything to the point that the invaders themselves called the whole area ” breite”, with the Germanic meaning of a large space, immediately changed into “braida” by residents who saw rather a destroyed field where hungry survivors could draw water to keep an orchard and some animals. Given the hard times, there are few written chronicles from which to draw historical data, but we could say that in the 9th century new homes were built inside the new walls where a certain Aldagiso opened a little town gateway called Pusterla della Braida to access his lands. Agricultural activity, however, changed after the Emperor Henry V arrested certain rebel noblemen from Lombardy and forced them to wear very simple gray clothes and work in the Germanic wool industry. But those miseries helped them to mature a religious conversion, wearing a gray garb with a penitential spirit, and leading a humble life, in charity and mortification. As a result, the emperor, after receiving their pledges of future loyalty, permitted their return to Lombardy where they probably settled in some rural area around the Braida, and started a religious working community that preached a return to frugal and austere life in opposition to widespread dissolution. From a document dated 1036, we know that this attitude pushed a new landowner of the Braida, nicknamed the Guerce, to give them a land with homes, grounds and a watercourse suitable to start a profitable woolen enterprise that followed the German methods learned in exile. Known then by the name of Fratres del Guercio, this community began a phenomenal industrial journey. They produced a woven and waterproof wool fabric, probably similar to the “loden”, particularly appreciated in the theatrical environment, thus supplying employment to the poor and even distributing some goods to those in need. Later on, in 1176, they obtained the pope’s approval for their spontaneous choice of a pious lay life, avoiding oaths and litigation, in a spirit of piety. Then, in 1201, pope Innocent III formalized their choice of life by instituting the Congregation of the Humiliati, stating that they could choose one of three different orders. The first was made up of clerics living as in a typical monastic community. The second group was a community of men and women who did not take the vows, could marry and shared something such as meals. The third order included lay people who practiced a limited form of voluntary poverty. After such papal approval, the Humiliati expanded rapidly, became rich, and opened several other seats to people of every social class. The old Braida del Guercio, which changed its name to Brera, had became a fourteenth-century monastery (a wing of which still resides along Via Fiori Oscuri) including the church of Santa Maria in Brera (which no longer exists). But in the fifteenth century, during the Counter-Reformation, Cardinal Carlo Borromeo considered the thesis of the Order close to those of the Protestants, and began to repress the world of theatrical entertainment that represented the greatest income of the Humiliati. In 1571 an exalted member of the group attempted to assassinate the high prelate with a shotgun, but the attack failed, and shortly afterwards four of them were accused and decapitated, the Order was suppressed by Pope Pius V, and Carlo Borromeo claimed all their properties. Brera’s scenario changed in the most complete way. The palace was donated to the Jesuits, who were assigned the task of establishing the University of Brera for the teaching of Latin, rhetoric, philosophy, theology, scientific research and astronomy to the clergy and nobles. It was then necessary to build a new and larger building, entrusted to the architect Francesco Maria Richini in 1615, who designed and erected the current structure, despite a terrible plague that slowed down the works. Over the following 200 years, Brera shone for advanced research in mathematics and even for the discovery of a new comet. But meanwhile in Europe, the death without heirs of the last Habsburg of Spain, King Charles II, Duke of Milan, sparked the dynastic claims of Austria, France and Piedmont, during a long war that also involved the Milan dukedom until 1706, when Austria asserted its dominion over Lombardy. In this phase, the Enlightenment philosophy produced powerful political movements, especially against the private instruction held by the ecclesiastics, to foster state education, which came on 21st July 1773, leading to the suppression of the Jesuits order by Pope Clement XIV (Order reconstituted then by Pope Pius VII in 1814). 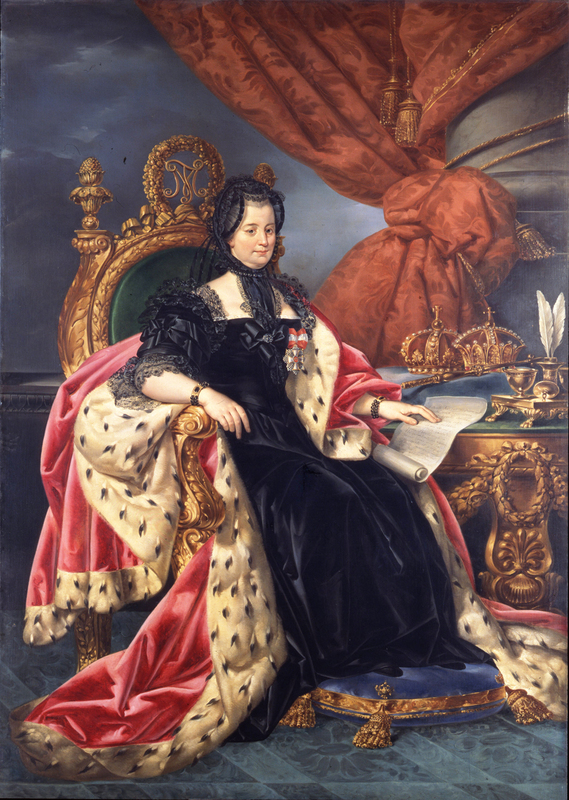 Brera passed under the illuminated cares of the catholic empress Maria Theresa of Austria, whose government, according to many, is at the base of modern Lombardy. In fact, her reign was marked by a number of reforms of European style and great cultural development. She understood the importance of the division of legal, financial and administrative powers; introduced the editorial office; wanted primary education to be compulsory; reduced the privileges of the clergy; worked to stop torture and reformed various cultural institutes. With her, the architect Giuseppe Piermarini began a renovation and the Royal Gymnasium of Brera took the place of the Jesuits’ Palatine Schools. Great attention was then dedicated to creating the Imperialis Regia Bibliotheca Mediolanensis. Founded in 1770, and open to the public in 1786 as a new source of knowledge. This National Library shows inside its wonderful boiseries designed by Piermarini hundreds of very rare books, starting from a first part dating back to the Jesuit collections, together with a huge donation of about 24,000 volumes regarding history and literature collected by the president of the Senate of Milan Carlo Pertusati; with the addition, in 1778, of the private library of the Swiss physician, Albrecht von Haller, including about 14,000 volumes of medicine, surgery, anatomy and botany and the major scientific 16th and 17th century medical literature. Soon after, when Maria Teresa reviewed the city’s land registry to give space to new institutions such as La Scala theater designed by Giuseppe Piermarini, they decided to demolish quite a number of churches and monasteries. To save the priceless works of those churches the need for a picture gallery arose, which was set in Brera to make their priceless works of art available to the Fine Arts students. Unfortunately, she never saw it opened since looming on the horizon was another overthrowing of the Lombard region: the Campaign of Italy launched by Napoleon from 24th March 1796, which saw the French entering Milan on 15th May, and the consequent departure from the Sforza Castle of a scattered handful of Austrian soldiers who had escaped there. Thus the proclamation of the Cisalpine Republic on 29th June 1797, followed by the coronation of Napoleon as King of Italy in Milan Cathedral on 26th May 1805, meant the Brera Picture Gallery was only inaugurated on the 15th August 1809, on the birthday of the new Emperor. Not satisfied with admiring his imposing bronze statue in the Palace courtyard made by Canova, who magnified him naked as the peacemaker god Mars, and inebriated by the paintings of Raffaello, Caravaggio, Carpaccio, Mantegna, Tintoretto, Canaletto … Napoleon commandeered some canvases to be installed in the Louvre. With the French, therefore, arrived the definitive arrangement of the Brera Palace in a structure fully integrated in modernity, in a sort of encounter between Teresian didactics and the transversal grandeur of the Louvre, according to one of the great Napoleonic projects for Europe. But then even the French Emperor faded away. Thanks to all the activities of the past and the affection paid to this place by so many famous people now Brera hosts the most advanced in the city’s cultural institutions, such as Brera Art Gallery, Academy of Fine Arts, Lombard Institute for Science and Literature, National Library Braidense, an Astronomical Observatory, and a Botanical Garden. And every third Thursday of the month, holds the “Brera Musica Event” inside the Pinacoteca which will remain open at 3 €, from 18.00 to 22.15. Moreover, on the 13th May, to commemorate the 300th anniversary of Maria Teresa’s birthday, an important new arrival will be donated to the Library, for further information see in What’s On.